"Music teaching is not just my job; it is my mission, my love, and my life." Sophia Gorlin is a Ukrainian-educated musician with 35+ years of experience teaching piano lessons, music theory lessons, and ear training to students in the Ukraine and in the United States. Mrs. Gorlin maintains a home piano studio in North Indianapolis where she teaches piano, music theory, and ear training lessons to students of all ages and levels. Her lessons are largely informed by her deep knowledge of the European musical education system, and many of her students have won piano competitions under her tutelage. 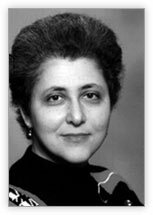 Information on Mrs. Gorlin’s piano lessons, including samples of her unique learning materials, can be found here. For information on her music theory and ear training instruction, click here. In addition to her teaching activities, Mrs. Gorlin has authored works on music-related topics throughout her career. In the years 2006–2008, she published a series of works on Dmitri Shostakovich in the DSCH Journal (Nos. 27–29); these and other articles by Mrs. Gorlin can be accessed from her Music Criticism page. 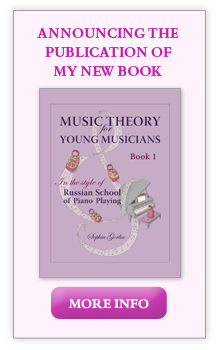 In the years 2013–2015, Mrs. Gorlin released her 10-volume series of books: Music Theory for Young Musicians. The books are targeted at pre-college students of all levels and drawn largely from the unique materials she has developed for her students over the years. For more detailed description of the books, click here. Sophia was recognized this year as one of the best piano teachers in the Indianapolis area by Expertise.com. This distinction speaks to her dedication and high standards. For Sophia Gorlin’s full professional biography, click here.